This year brings another packed programme of local shows around the south west. Click on the name of the show to visit the show website. Look out for the DASH stand at the shows highlighted. If you spot any typos, or know of any shows that are missing from the list let us know as soon as possible. Devon County Show - Look out for the DASH stand! Axe Vale Show - Look out for the DASH stand! Launceston Agricultural Show - Look out for the DASH stand! Mid Devon Show - Look out for the DASH stand! Totnes & District Show - Look out for the DASH stand! Woolsery Show - Look out for the DASH stand! Yealmpton show - Look out for the DASH stand! Honiton Show - Look out for the DASH stand! 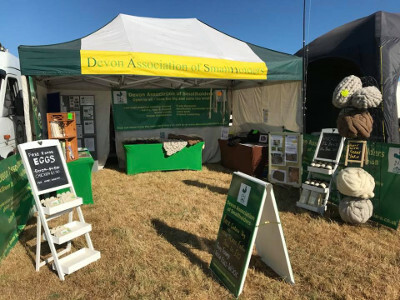 North Devon Show - Look out for the DASH stand! Okehampton Show - Look out for the DASH stand! Chagford Show - Look out for the DASH stand! Holsworthy & Stratton Show - Look out for the DASH stand! South Molton Apple Fair - Look out for the DASH stand!